Maine has over 400 antique shops throughout the state. Maine is renown for its scenic beauty, gorgeous fall foliage – and its antiquing. From rare books to hand crafted wooden furnishings, garden accessories to pottery and porcelain, Maine’s antique boutiques provide the backdrop for relaxing days spent seeking out that unique treasure. Maine is peppered with more than 400 antique dealers, drawing treasure-hunters from across the region and the country. One of the best ways to find the perfect shop is through the Maine Antique Dealers Association. Don’t miss antiquing destinations include York, the oldest chartered city in the U.S. Visit the York Antiques Gallery– which houses multiple dealers in a restored barn — and the York Village Marketplace, home to a range of antique shops. The nearby town of Wells is also known for its fine antiquing. The Wells Union Antique Center has 15 shops under one roof, MacDougall-Gionet Antiques houses 60 dealers in a restored barn, and Bo-Mar Hall houses more than 120 dealers. Other unique Wells dealers include Goosefare, which offers wares from the 1700s in a colonial-era home, and Harding Books, with an inventory of more-than 100,000 rare books and maps. Just up the coast, Kennebunk’s Rivergate Antique Mall houses more than 100 exhibitors, while the multiple dealers at Arundel’s Antiques USA Superstore specializes in items from homes across New England. Maine’s long history is characterized by its rugged seacoast and antiquers often find items that reflect the state’s maritime heritage. Up the coast from Kennebunk, the downtown streets of Wiscasset are dotted with antique shops, selling everything from historic automobiles to rare books, fine 19th century art to nautical items. An hour north of Wiscasset, the many antique shops at Searsport stretch along Main Street. Shoppers in this area can find original wooden buoys, papers from the Civil War, whale oil lamps, and early Mt. Washington, Portland and Wavecrest glassware. 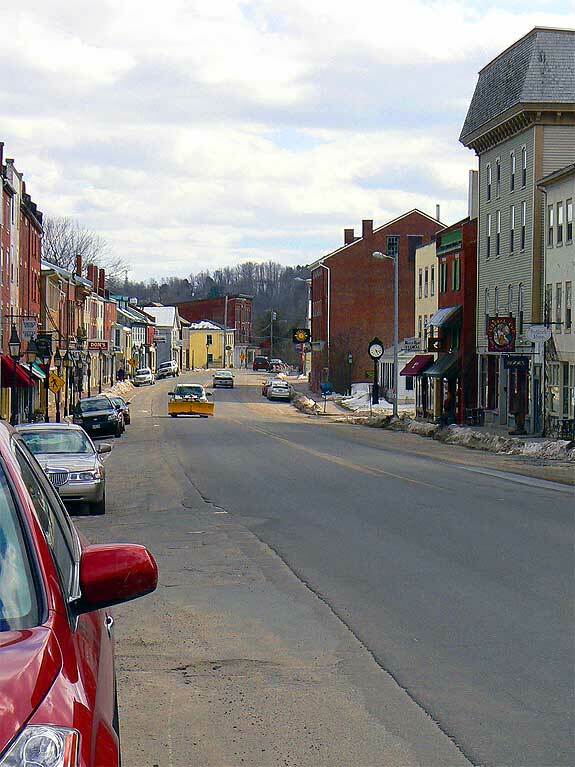 The Central Maine town of Hallowell – nicknamed “Maine’s Antique Riverport” is home to several galleries as well as the Hallowell Antique Mall, home to more than 80 dealers selling everything from carriages to estate jewelry, dolls to linens. The Piccadilly Place Antique Market also houses multiple dealers. Nestled in the foothills of the White Mountains, the antique shops in Cornish are a great place to seek out vintage recreational gear that typifies Maine’s outdoor heritage — from snowshoes and old skis to fly fishing rods and reels — such as the Cornish Trading Company, which houses multiple dealers. Many Cornish antique shops are closed in winter. As for special events, summer visitors won’t want to miss the Ellsworth Antiques Show at Woodlawn. Every August, top dealers from across New England gather at the Woodlawn Museum in Ellsworth to display their wares. The show is the longest-running in the U.S. and features a range of wares, from folk art to silver, quits to rugs. Other antique events include the Coastal Maine Antiques Show, held every year in August at Round Top Farm in Damariscotta. 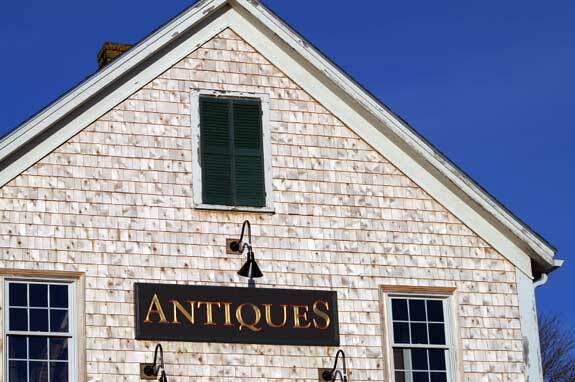 In fall, the Kennebunkport Historical Society hosts the Antiques at the Carriage House event. The Maine Antique Festival takes place every August in Union, and the city of Bath holds regular antique shows throughout the fall and winter, as well as the large Bath Area YMCA Show in August. Whether you’re seeking that perfect piece of colonial-era furniture for your living room, a pair of vintage cross-country skis to grace the mantel above your fireplace, or just hoping to find a special treasure tucked away in an out-of-the-way shop, Maine’s many antiquing venues can make it happen.